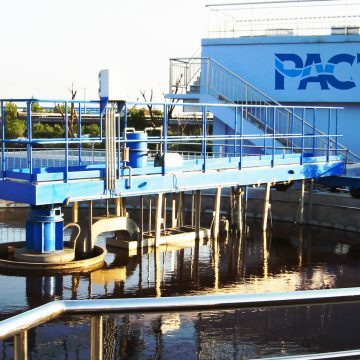 PACT’s innovative flocculation and flotation unit is a unique approach and replacement to traditional DAF treatment systems. 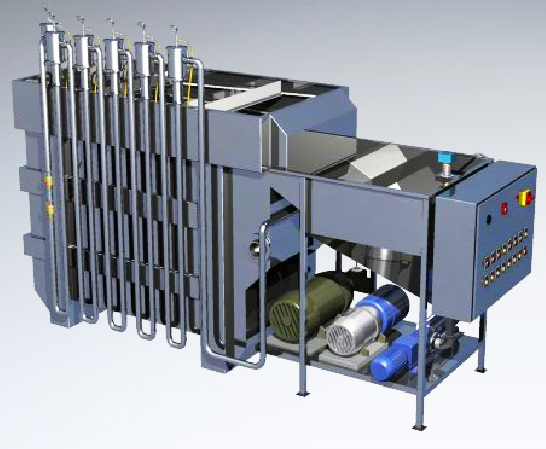 The GEM unit can handle a much greater contaminant loading and produce much drier solids, and takes a much smaller footprint than a traditional DAF system. 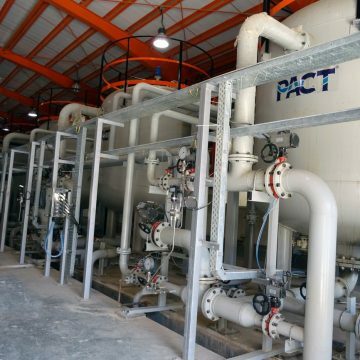 PACT’s innovative flocculation and flotation unit is a unique approach and replacement to traditional DAF (Dissolved Air Flotation) treatment. 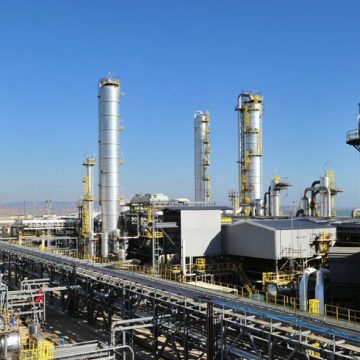 The Gas Energy Mixing (GEM) System can generate better results, handle a much greater contaminant loading, adapt to flow changes and produce much drier solids with a much smaller footprint and using less chemicals than typical DAF systems. 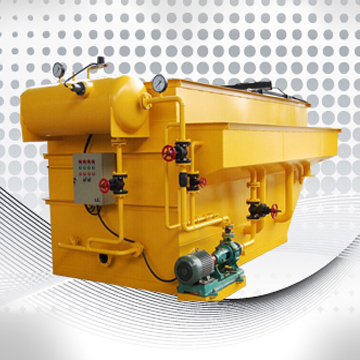 The GEM System obsoletes DAF units in terms of flotation efficiency and operation. 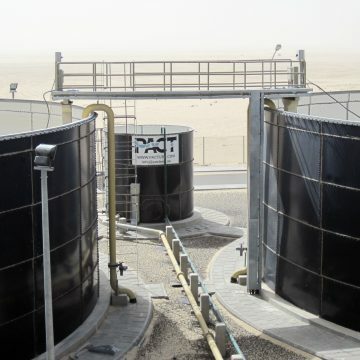 Where a DAF unit typically operates under the “collision method” theory for flotation, the GEM System is designed to en-train air into the floc and sludge structure, known as the “floc seeding method”. 100% of the waste stream is sent to the GEM System. 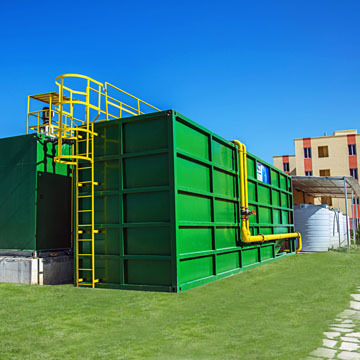 The waste stream is exposed to high pressure (100-120 psi). 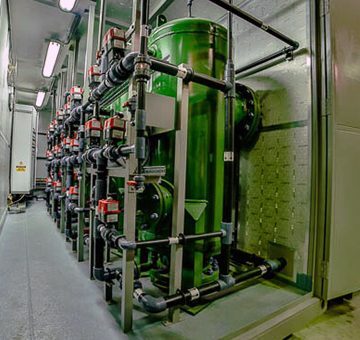 Air is dissolved into the waste stream using LSGM technology. 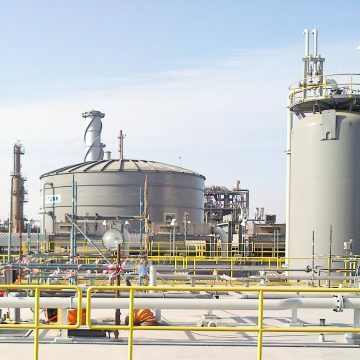 Flocculation chemicals are injected into the waste stream using LSGM technology. 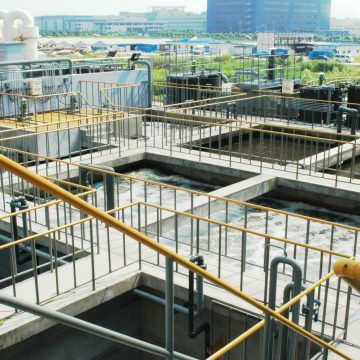 The floc is formed in the now air-enriched wastewater. Dissolved air is now entrapped inside the floc structure. Water pressure is lowered to ambient. Dissolved air in floc structure comes out of solution. Air inside floc expands, pushing out water. Flocs now float by themselves, as they are now “hollow”. 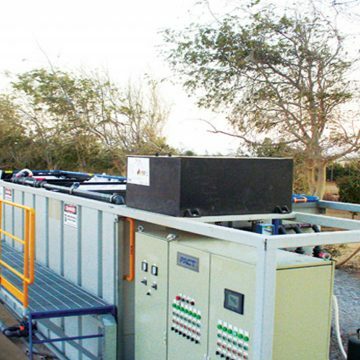 Clean water and buoyant flocs are delivered to flotation tank. 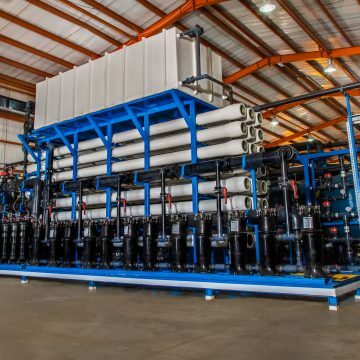 Along with the GEM System’s engineered process for flotation and flocculation, the GEM System uses the advanced LSGM (Liquid Static Gas Mixer) technology for air entertainment and chemical mixing. CWT has developed and patented its LSGM technology, and is the core concept of how the GEM System operates. The GEM System comes with a standard of 6 LSGM cartridges, piped together in series. The LSGM consists of a stainless canister, with a cartridge insert. Each cartridge insert has a series of holes, with removable inserts. Each LSGM cartridge can be configured by removing or adding inserts. Removing or adding inserts on the LSGM cartridge allows the configuration of mixing energy for air or water treatment chemicals. 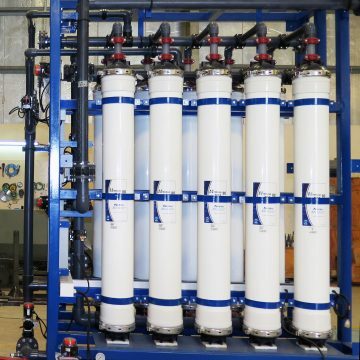 The ability to use the highest grade and most effective water treatment polymers on the market. 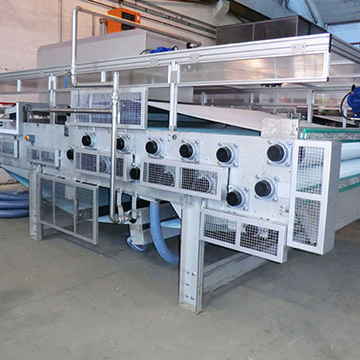 Adjustable mixing energies across each head, allowing the GEM System to introduce the proper mixing energy to each chemical in the water treatment regime. 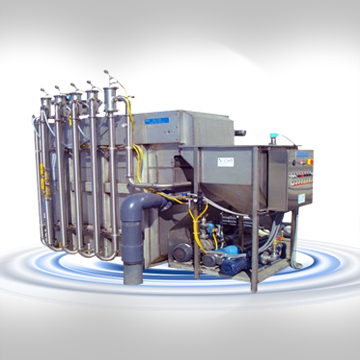 Much higher contaminant removal rates due to the higher chemical utilisation and chemical efficiency. With the ability to configure each LSGM head on the GEM System, the GEM System is able to accommodate any combination of treatment methods or applications.